I haven’t done much with the game in the past year other than revise some of the platforming physics and update the tileset graphics. I had a long list of neat ideas that I wanted to implement but they really distracted me from my original goal, which was to actually finish this project. 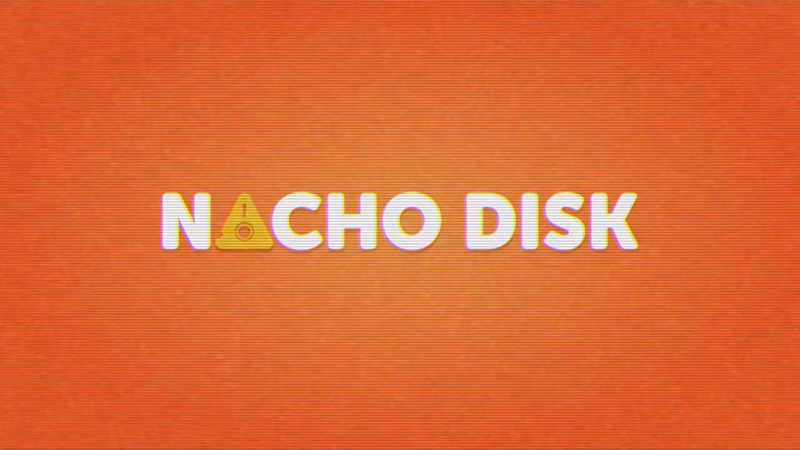 With that in mind, I eliminated most of these tasks and I am determined to release this game, in whatever shape it’s in, by the end of this week (4/21/2019). I have other projects that I would like to work on and never finishing this game has bothered me greatly because of how much time I have poured into it. 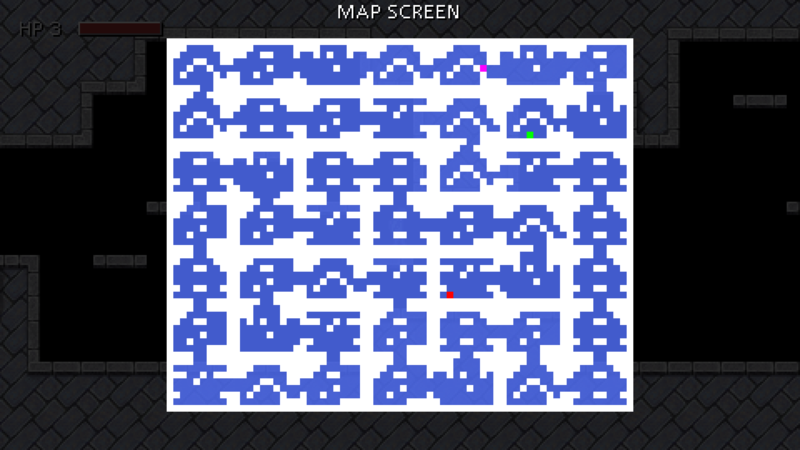 I spent today updating the ‘area reader’ code and it evolved into a replacement for my previous level generator object. 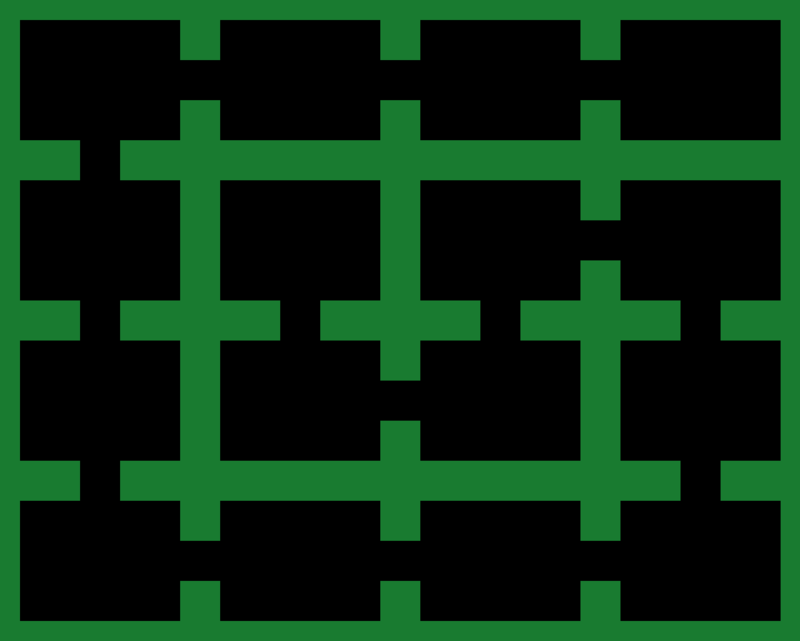 I combined the code into a single loop so that once the areas have been dumped into DS grids and the Hamilton path has been generated, the game goes through the maze in order and builds the dungeon. This is far more efficient than my previous versions of this process for a couple reasons. 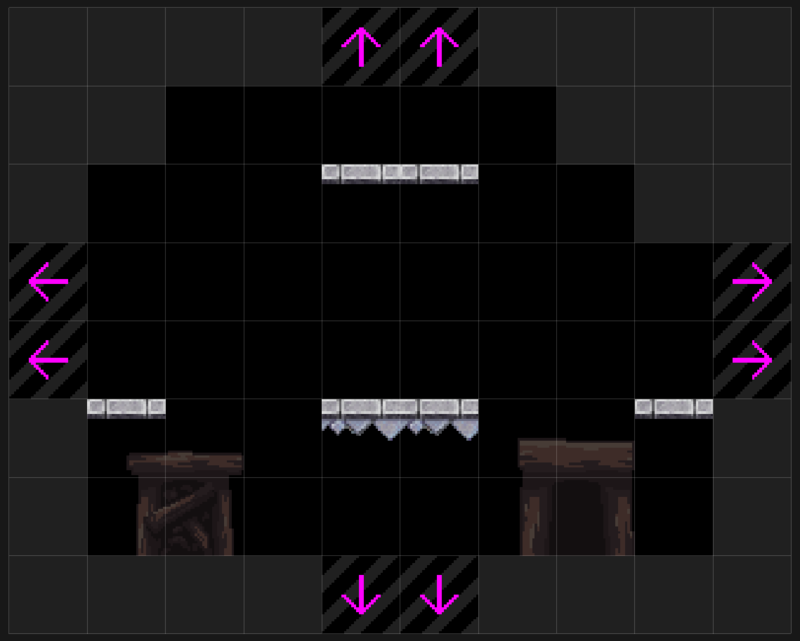 The first reason, as mentioned previously, is that the code no longer needs to reorganize the dungeon layout into a top-down arrangement. 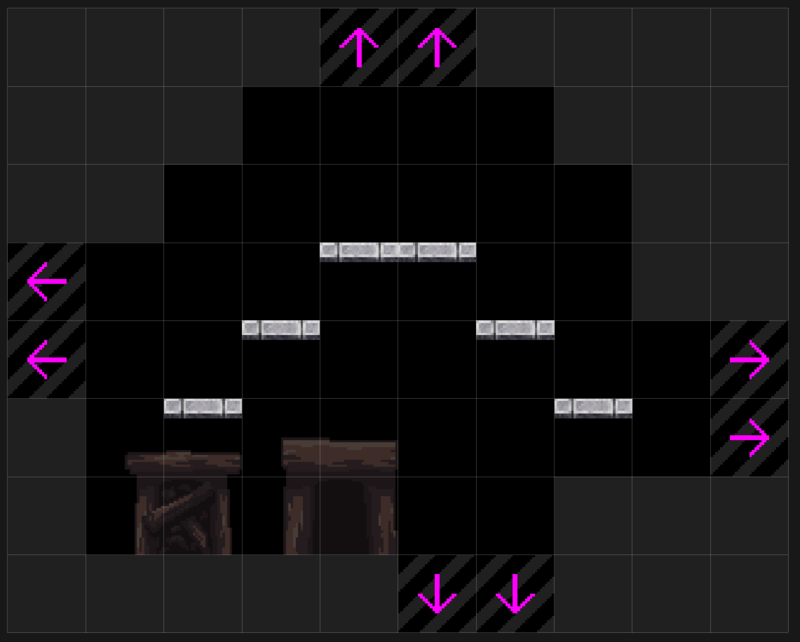 The second reason is that I created special area transition objects that make constructing pathways between rooms much easier. Instead of checking specific indices in an array, I can now simply place objects in the area templates that determine which areas are valid exits. The object o_transition has four children: o_transition_north, o_transition_south, o_transition_east, and o_transition_west. If _object_id is a transition, we check to see if this transition’s direction is one of the exits in the area we are currently building. If there’s a match, we skip placing an o_solid object in that transition object’s location. In the future I plan on changing this procedure so that it uses predefined transition regions rather than explicit transition objects. This will allow for greater flexibility in the application of my area templates. For example, I could define a region that would create a tunnel or passageway if such an exit was needed. I derived a new method of determining wall placement that will be easier to manage and apply to a variety of features. I first created macros that define each type of exit direction. Everyday Tower has been released on itch.io. 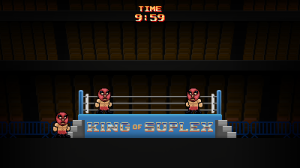 Idle animation test for my first wrestler sprite. 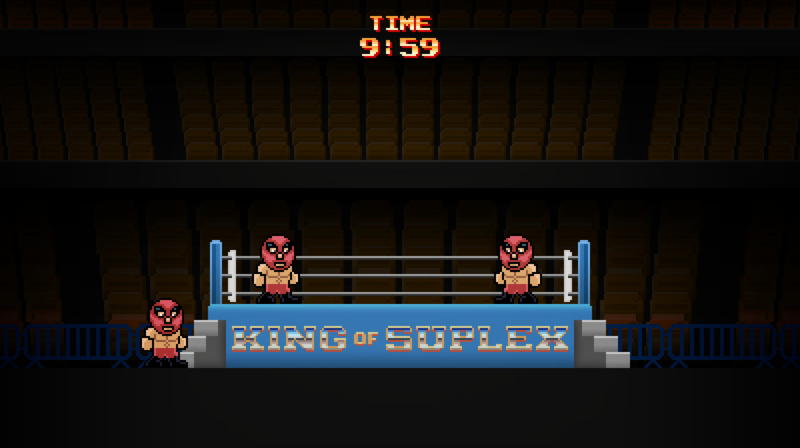 This image gives an idea of what King of Suplex might look like. 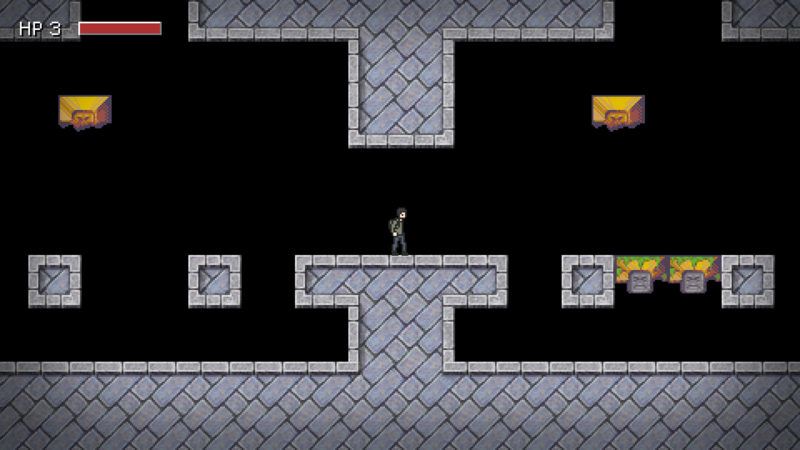 I’m still working on the scale of the assets but this is roughly what I want it to look like. This is from a game I have been working on for a couple months. 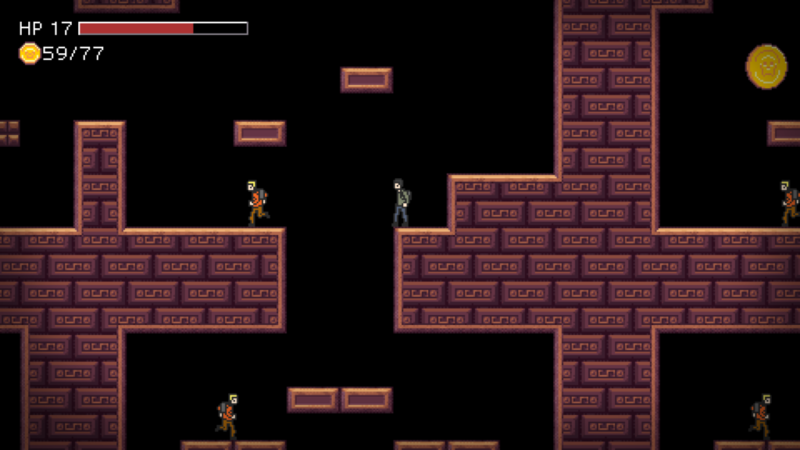 My next plan is to finish a character and then create the level art. It’s a fairly simple concept but it will still require a lot of work to get finished.